Despite having recently discovered my Holy Grail foundation (Kevyn Aucoin Sensual Skin Enhancer FYI), I still find myself struggling to keep it looking flawless for any extended length of time as my oily skin invariably breaks through the satin finish, causing unwanted shine. A light dusting of powder at strategic points in the day helps, of course, but can quickly look cakey and overly made-up. And you can only imagine my struggle come the warmer months, when the foundation-slide becomes ever more problematic. The balmy temperatures team up with drying air-con to exacerbate oil production, meaning that post-lunch my T-zone becomes intolerably slick, with uneven base coverage everywhere else. 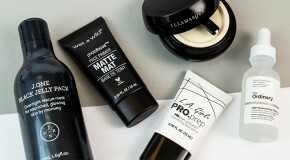 I’ve tried multiple products in my quest to battle the excess shine and none have quite hit the spot; from the mattifying mositurisers that give a blotted-down base but also force dry patches to flare, to the oil-absorbing sheets that manually lift away excess sebum but don’t prevent my foundation from slipping and sliding in the first place. And yet, despite the beauty team regularly extolling their virutues, what I’ve never reached for is a skin primer. I’ve sampled a handful of tester sachets, hurriedly buffed under makeup before a night out, but have never seen results noticeable enough to warrant a full-size purchase. And yet, surprisingly, I apply eyeshadow primer religiously, swearing by its stay-put prowess in holding my powder eyeshadows, fast. 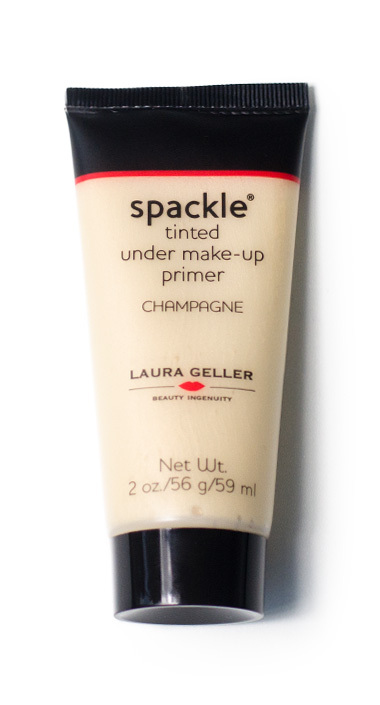 With warmer days fast approaching I jumped in and took the plunge, adding an additional – but much needed – step to my morning makeup routine, in the form of Laura Geller’s Spackle Champagne Tinted Primer – a summer-ready choice thanks to its promise of strobe-enhancing radiance. Unassuming in its simple packaging, the light gel-serum formula boasts a slick, easy-apply texture – spreading across my uneven skin with ease. 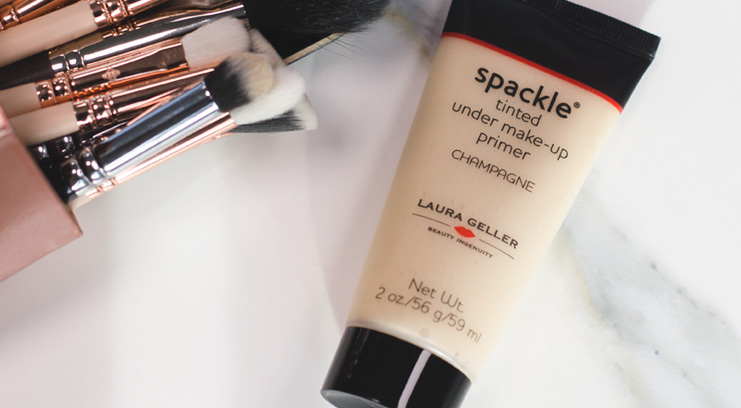 A little goes a long way, and when patted over skin it feels nourishing rather than cloying thanks to a formulation that clearly errs on the side of caution when it comes to the typically slippery silicones associated with flawless-finish primers. There’s an obvious uplift in my skin’s colour-tone, as the tinted formula and hydrating ingredients impart a soft dewy glow and micro-fine shimmer which glistens on the face. The weightless gel glosses over all skin imperfections leaving an impossibly smooth surface. My foundation and concealer buff, effortlessly, on top with no sign of skin flaking, or streaking. 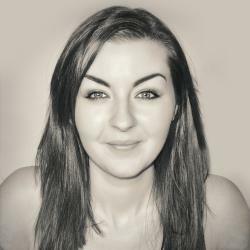 From a 6 am start all the way through to lunch, my base looks and feels fresh, flawless and even in tone. And then comes the true test, it’s 1.30 pm and I reach for my compact, expecting to see the standard slippery skin finish reflecting back at me -but not that day. And, actually not a single day since. Which leaves me asking: why have I never tried this before?